This is an update to the previous S-Pro Elite frame that came out in 2016, below, which was used by several pro players. The new model has a listed weight of 125 grams, as opposed to the listed weight of 140 grams on the prior model. Thanks to Keir for the tip! 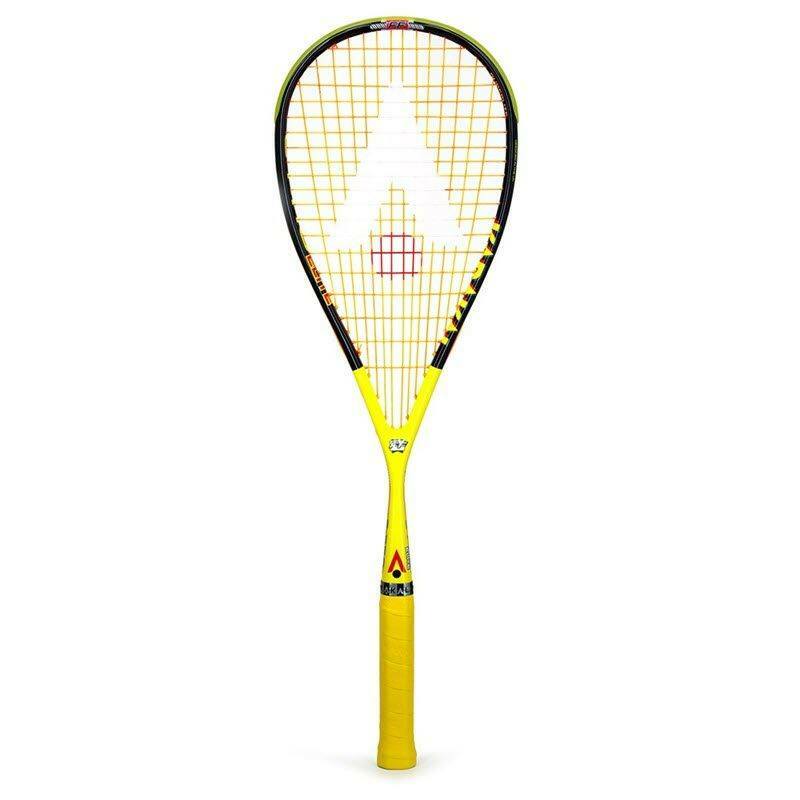 This racket is based on the “S” series of Karakal squash rackets, which have a teardrop head shape and a fan stringing pattern. The S-Pro Elite has the same advantages as the S Series frames with a straightened frame profile to improve power and increase the sweet spot. The construction of this frame differs however as it is weighted and balanced to Pro specifications. It has more weight in the head which allows you to get more power behind your shots. The racket is advertised as a 140-gram frame weight, with a balance point of 355mm. It comes gripped with Karakal PU Super Grip. I use this racket and I must say that the newest version is a perfect blend of style, weight and string space. 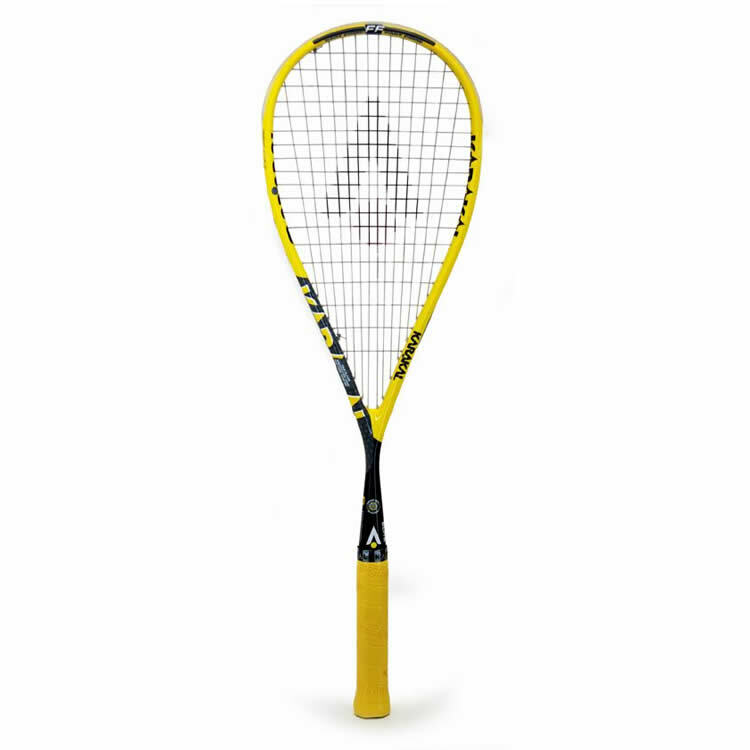 Karakal rackets are very durable and this racket has lived up to the brands quality. I would say that this racket is probably for a player edging on the side of power, though this racket does offer tons of control because of the FastFibre technology. All in all this is a great buy and I highly recommend it. Sarah Kippax (now Campion) kindly sold me one of her brand new spares after finding a crack in my Technifibre Carboflex 125 and did a re-string with my Ashaway Super Nick (Orange) strings. 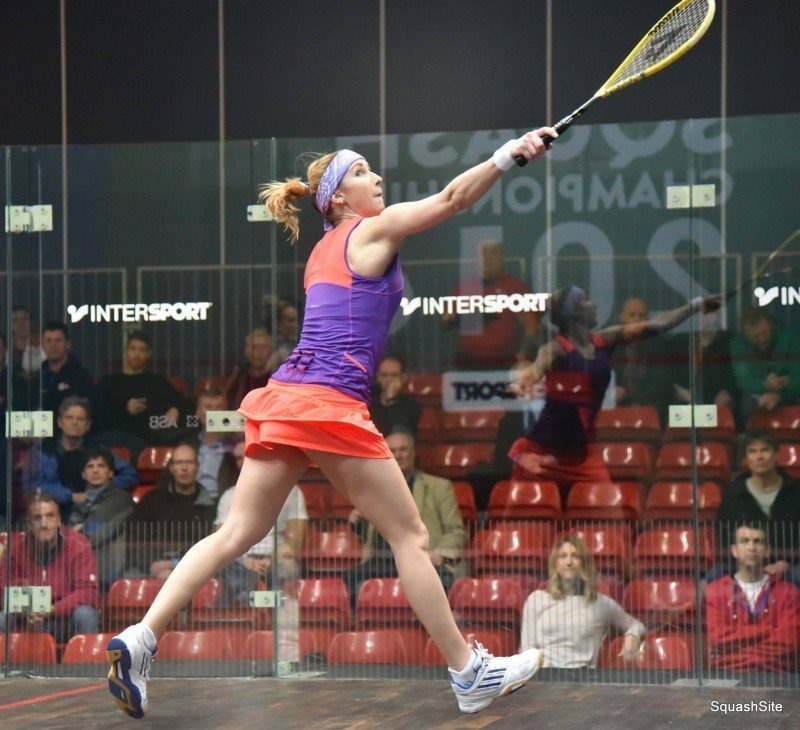 I never would have considered purchasing a Karakal but played my first game last night and loved it. Beat my usual opponent 5-1 which is extremely rare. The racket is head heavy which I liked. Didn’t really notice the additional 15g weight (140g racket). Strings were no doubt a factor but I am now more open minded about manufacturers after this. I’ve got latest Tech Fiber X-Speed which cracked after a couple month of play. I bought this one and you know what? 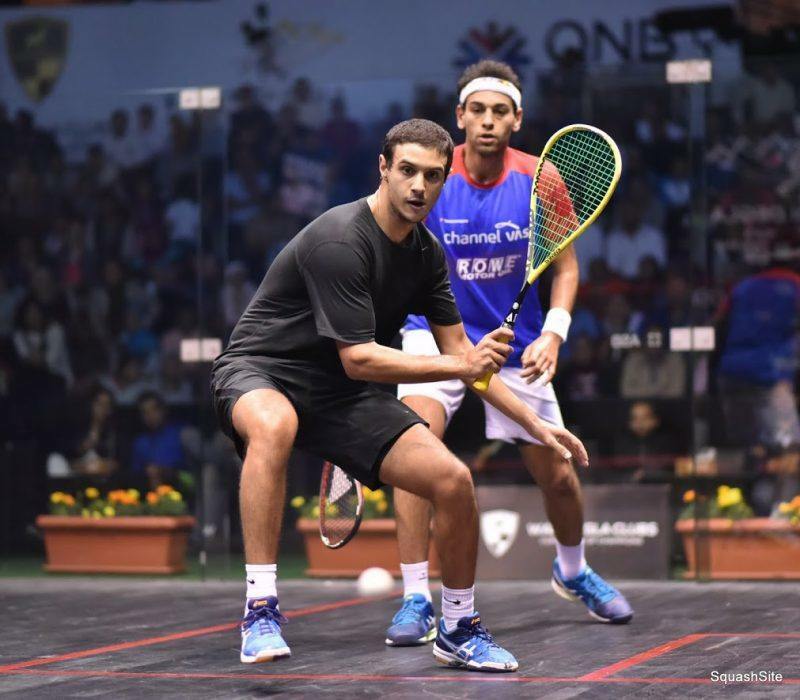 They have almost equal weight with around 3 grams + on Karakal. Both rackets are with default grips and strings. Absolutely love my SPro Elites. Sadly Karakal have just updated them, and have reduced the weight to 125g. It’ll be interesting to see how they perform. As I said, the weight of previous Karakal S Pro is equal to latest Tech Fiber X-Speed 125. I own both. 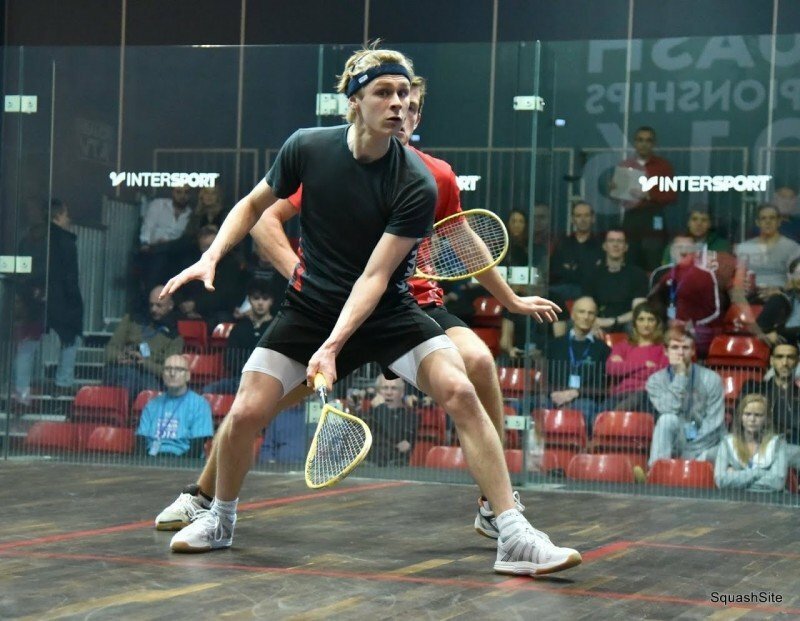 Great power from the back and mid court, and touch taking the ball short. The big draw back are the strings they’re ok for the first couple of matches, then become very unresponsive and wooden. TF 305, or Ashaway changeout is a must. George: We also have the S90 on the rack at the club and the main difference is balance. The S90 is light overall, but head-heavy. I also found the S90 a little “tinny” for my personal preferences – preferring a more solid feel on ball contact. The S-Pro is 140 grams with an even balance, which feels really nice. The 140 gram 355 balance point are like magic numbers. It’s a great combination. I Don’t see the advantage of this, Just switched to the SN90 FF and its such a nice feel, re-strung it with 305+ and its just exceptional, The usual attacking shots from my game are just easy to play it literally is amazing. So why is everybody picking a 140 over 90grams?